It is within America's technical and financial power to help end world hunger in our lifetime, if we set our hearts and minds to the task. Contrary to what many people believe, the world has made measurable advancements against hunger and poverty over the last several decades. But too often the binding constraint on further progress is a simple lack of political will. As a result, one of the most powerful ways to affect change is often the most neglected- political activism. 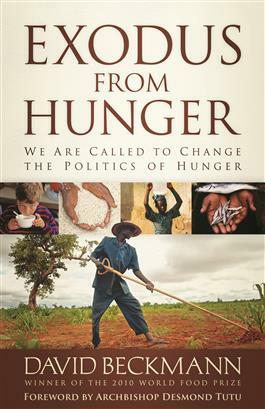 In this powerful and hopeful book, David Beckmann, president of Bread for the World and a leading anti-hunger activist, looks at the causes of hunger, presents case studies of countries that have made great strides against it, and puts a human face on the problem by sharing stories of people who are, quite simply, hungry every day. The problems can seem overwhelming but Beckmann lays out a clear and workable plan for effectively using political channels to make great progress. He not only challenges us to get involved, he shows us how. It is no less than our call to do so. To listen to David Beckmann's interview about this book on WJK Radio with Dan and Jana, click here.